Stay tuned for upcoming events for Puppet Festival in near future. Puppet Festival 2018 will be organized by Rafi Peer Theatre Workshop from 18th to 21st January 2018 at Rafi Peer Cultural Center in Lahore. Puppet Festival is the largest cultural event held in Pakistan. It is dedicated to promoting folk arts and crafts in the country. 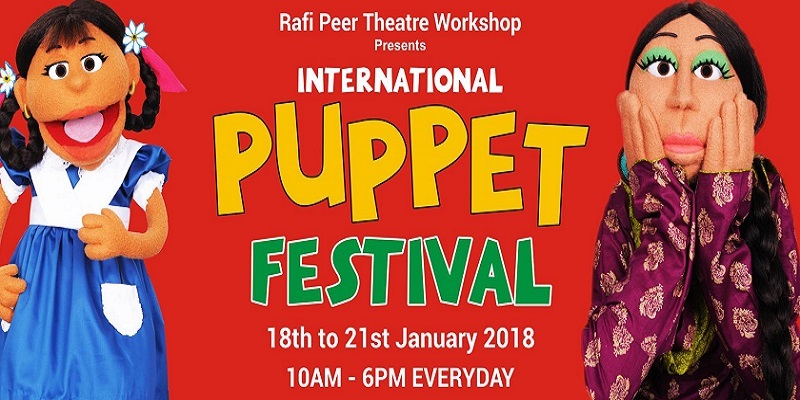 Rafi Peer Theatre Workshop presents International Puppet Festival 2018 provides a beautiful opportunity to get out of the city and enjoy a day out bringing together great performances, good food and wonderful experience for children and families. Puppet Festival since its inception 10 years ago, has been instrumental in bringing the cultural heritage of Pakistan back to the mainstream. This extravaganza festivity is a grand celebration of cultural performances from around Pakistan. Puppet Festival is set to be a delightful display of music, puppetry, dance and crafts. Best Viewed at 1024 x 768 pixels and above. This Page loaded in 0.06718 seconds on Tue, Apr 23, 2019 (21:33).